If you are a business traveler coming to Asia for expanding your business, visiting a partner or simply starting up a new venture in Asia, you probably lack some essential information to make your trip a successful one. 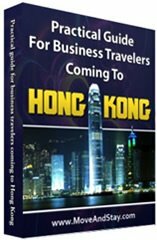 These ebook give you essential and practical information for your trip to Asia and are more specifically related to Bangkok, Hong Kong, Kuala Lumpur, Singapore and Sydney. Bangkok is a huge hot spot for tourism. In fact, it is considered one of the most desirable tourist destinations in the entire world because of the vast amounts of tourism experience by this city each and every single year. The industry of tourism is alive and thriving in the city of Bangkok and that is something that can be taken advantage of when planning business expeditions in the beautiful and tourist filled city. To make a true VIP entrance after your arrival at the Bangkok’s Suvarnabhumi Airport or to simply soar above the traffic and the clouds to a holiday destination up north or to a beach somewhere in the south, chartering a helicopter is an excellent way to save time and to make a truly grand entrance. Hong Kong is not necessarily a completely foreign country. It must be remembered that the city was under British rule up until recently, and while there is certainly a distinct Chinese flavor to it, Hong Kong houses its citizens very similar to the way any American city would. Most properties available for rent are in good condition, and are usually unfurnished. Very few serviced apartments allow daily stays. Normally you’ll be looking at a minimum stay of 30 days. Moving to Kuala Lumpur is no easy feat. There is the culture-shock you will undoubtedly feel upon your arrival, as well as the nagging feeling that you should be working when you’ve been spending all your time trying to find furnishings for your new office space. There is a deep-seeded desire for every businessperson to have the perfect office; one that is clean and conducive to a relaxed and efficient work environment. Bear in mind that the solution to your worries about finding the right look for your office can be found with a serviced office. When deciding where to operate your business, many considerations need to be considered. What kind of governmental regulations and requirements are imposed on small, or, conversely, large businesses? What are the differences in protocol between the two? One of the most important things to consider is what kind of lifestyles will your employees have? In doing so, you will allow the people working for you to not only enjoy the place they work, but their living situation will be far more pleasant. A drastic difference between setting up a business in Sydney, Australia, as opposed to Bangkok, Thailand, or Manila, Philippines, is the country’s economic and political stability. For this reason alone, making Sydney your home-base is not only a sensible one, but the egalitarian nature of the people, and democratic outlook on both foreign and native-born workers, makes becoming part of the Australian business community one of the most promising in modern times. Moveandstay provides apartments and offices worldwide.